Best Buy Cyber Monday - iMac, GoPro, Beats + More! Best Buy has already rolled out some of their Cyber Monday Sales! One of my favorite deals is the nabi - DreamTab - 8" - Intel Atom - 16GB on sale for $149.99 (Retail $199.99). We have a hard time finding good discounts on this tablet so I'm going to grab this deal while it's $50 off with free shipping. 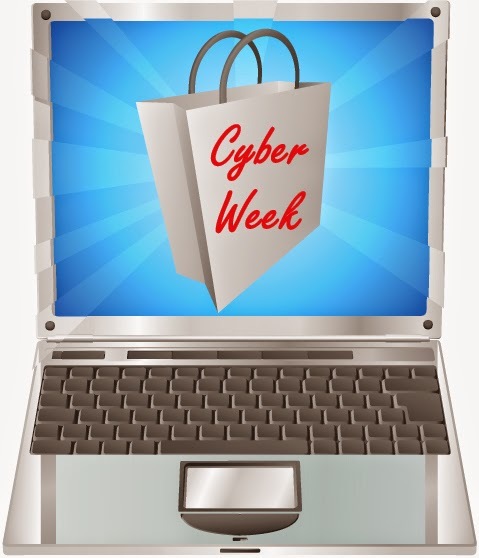 Cyber Monday Sales have already begun! All of the sites below have started their Cyber Monday Sales! I'll keep you updated as new sales are launched. Below are direct links to the deals! Use coupon code CYBER20 to receive an extra 20% off. Free shipping on orders of $25 or more and get $15 in Kohl's Cash with your $50 purchase. Right now at JCPenney - St John's Bay Select Boots are 50% Off during the Cyber Monday Event, plus an extra 20% off or 30% off with purchase of $100 or more with code CYBRMNDY at checkout. My favorite is the St John's Bay Jodie Leather Tall Womens Boots for $39.99 (Retail $99.99). Hurry sizes are selling out quickly. Don't forget to browse around the Kohl's Cyber Monday Sale LIVE NOW!!! Here's a fun deal for Frozen Fans! Plus don't forget that you'll get Free Shipping on any $25 purchase and $15 in Kohl's cash with any $50 purchase. I'm knocking out my daughters Christmas list. Still looking for Disney Infinity 2.0? Right now, you can get the Disney INFINITY: Toy Box Starter Pack (2.0 Edition) for only $39.99 (Retail $59.99). Available for Xbox 360, Nintendo Wii U, PlayStation 3 &amp; Xbox One.